I just wanted to inform my readers as to how we are progressing regarding my husband's lay-off more than a month ago now. It has been a stressful time, but we are working hard to keep a positive attitude. It was good advice to not take the lay-off personally. We are learning that healthy companies are constantly trimming themselves by ten percent to remain vibrant and growing and our oldest daughter learned in college that a person is to expect as many as seven different jobs during their career years! My husband's job was no longer needed and so for financial reasons, it was cut. It still hurts as it doesn't seem to matter if the intent wasn't personal, the loss is and we are dealing with it. We are finding that it is easy to fall into the trap of “second guessing” as to why he was one of the few to go after his twenty-two plus years of dedicated service. It is likely natural to feel sad and “picked on”, and wonder why bad things always happen to us when things don’t go our way but we are learning that this sort of thinking is not productive. We know that bad things happen to good people all of the time. Yes, we are assuming a lot here—this is bad and we are good! It's taken me many years to learn that life isn't always fair and as an ex- military doctor I worked with used to say, “Buck up soldier, take two Tylenol and carry on” and so we are doing just that. 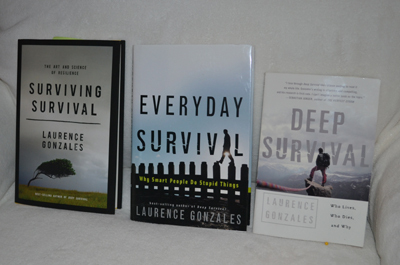 Surviving Survival by Laurence Gonzales was recommended to me by a good friend and has turned out to be a Godsend. I had just finished reading it when my husband called to say he had been laid off his job and was on his way home. (Thank you S.N.!!) We are learning that “the scars of our lives” that we all carry, act to complete us and become part of our uniqueness”. I thank the author, for this insight. It has become critical to view our life in this manner and not allow this experience to destroy us but instead make us stronger. It truly is an opportunity for new growth and change. This is easier said than done, to be sure, as change is hard and grieving the loss is all part of this process as we face our new realities. Life has dealt us a new hand and we have to play it as it is. Surviving Survival and Deep Survival (both by L. Gonzales) have been so enlightening regarding why some people survive and others don’t. Although the author writes about people who take physical risks that I/we wouldn't dare, his stories apply to any crisis and has been a useful guide to direct our thinking during this time of upheaval. My husband's severance package also provided him with a job counseling service and before they were able to reach him, they accidentally, or perhaps on purpose, reached me first. This was fortunate as they were able to prepare me for the process we were about to undergo. I was told that the turn around time before finding new employment would likely be a minimum of three months and could be a bit longer with the economic issues at this time, along with my husband's age of being well over fifty. My husband says he doesn't feel like he looks a day over 45—and who am I to tell him otherwise! The advice has helped me and my husband to be realistic, take a bit of time to absorb the shock and begin to deal with the loss and hopefully make more rational decisions. My husband losing his job had been one of my greatest fears as I had heard of so many that have lost jobs and are still struggling to find work. We live in a more rural location which limits his chances for finding work locally and we don’t want to move so close to retiring! I am realizing, however, that life often gives us the opportunity to face our greatest fears and so we are doing just that. My husband is practical and comes with many skills, albeit, mostly self-taught and experience-based but his good work ethic and innate problem-solving abilities and willingness to learn make him more adaptable to this change than I would be. I am the one with much book learning and creativity with little common sense. We seem to complement each other well, but in the work world I think that his chances are better than mine when it comes to becoming re-employed! I am sympathetic to his new task at hand, of finding another job and I know that I will play an important part in his recovery from this significant loss. The phone call from the job counseling service confirmed this. Interestingly enough our primary concern has not been him finding another job, though this is the ultimate solution, but rather finding affordable health insurances. Cobra Insurance, as most know who have gone through this process, is not a viable option unless there is a catastrophic need, as it is too expensive. Fortunately, more affordable insurances have been found, and applications submitted. The loss of my special doctor occurred at the same time as my husband's job lay-off and has also been an immediate need. After a four state internet search, I have found a new specialist only 120 miles away that will accept all insurances, and then found sources from which to purchase my medications that will be as affordable as before. I am grateful for my internet connections that helped with this search. My husband is working on all the aspects that go with a lay-off: creating a competitive resume, learning the new ropes of interviewing, creating a list of potential places to apply as well as making new choices regarding life insurance and investments that had been tied to his job. With change comes new opportunities. We remain hopeful that his next job be closer to home and it does seem that our financial needs are less than when we were raising our children and so perhaps he will have a greater range of choices than he would have had a few years ago. Our future, like that of many others in the world today will likely be filled with work. This is not sad to either of us as we enjoy learning new skills as well as having that sense of purpose in our lives that comes with work that we enjoy. We have never counted on fancy trips or riches to complete our “bucket lists”. Love and family is what makes our world go round, excepting for the amount of money it takes to live. We are comfortable enough and our faith has carried us through our needs and we have faith that God will continue to provide. It doesn't take much to look around to see that it could all be worse. Perspective is always helpful! I have just renewed my RN license in New York State. My parents always told me it would be a good insurance policy, though right now I am working at Little House and I am preparing new items to be featured on line and at local shows and galleries. In Surviving Survival, I have learned that our bodies and brains can heal best by doing creative activities and sewing is filled with re-patterning exercises, be it cutting, or stitching. 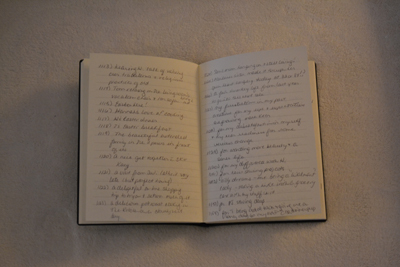 The noted hand detail in my work, is truly my form of relaxation and fun (and healing). Taking care of others, is also on Gonzales’ list as a healthy way of “getting outside of yourself” during times when it would be too easy to turn inward. Part of “getting out of self” is to either do for others or getting into being creative and “working in the zone”. Keeping busy and functioning keeps us strong as we move forward.“Periods of resting and conserving energy” are also helpful as they diminish “panic, immobilization, fear and dysfunction” according to L. Gonzales. Naps are refreshing and also aids clearness of thinking, which is especially important when solving problems during such times like we are undergoing. 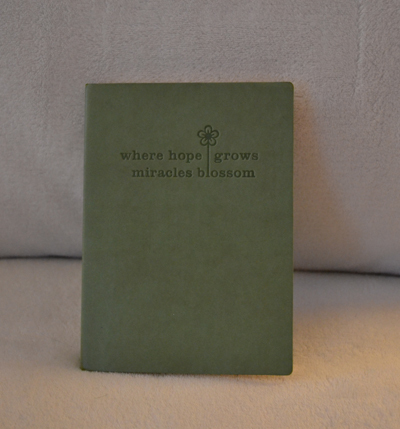 I have also pulled out my gratitude journal to find and record our blessings in the here and now. There are many. Our faith is sustaining us, as does our humor, which helps to break the inevitable tensions during a time of uncertainty. Thank you for keeping us and the many others seeking employment in your prayers! And when you have a chance, check out our 15% off sale in our ETSY store throughout this month. Simply add the code: LOVE15 to receive this discount and if you have any difficulty with this process, just send us a comment and know that we will be glad to help you. It is our special Valentine gift to you, our readers!